Struggling to Organize Terabytes of Evidence? We Can Help. On top of that, there's the simple logistics of managing all that new data. Once officers have transferred their files to your evidence storage system, they need to organize and manage it. Using a traditional, on-premises storage server, your officers need to properly tag, file, and organize hundreds or even thousands of digital files. Once stored, your agency needs to manage the varying retention periods to ensure essential files are being held the required length of time, while other files are being deleted to make room for newer evidence. Someone needs to manage access rights, while someone else has to maintain the server itself, ensuring it remains up-to-date and secure. This requires extensive manpower, and as more forms of digital evidence become available, the time you’ll need for this work will only increase. Evidence.com is more than just an online storage service. 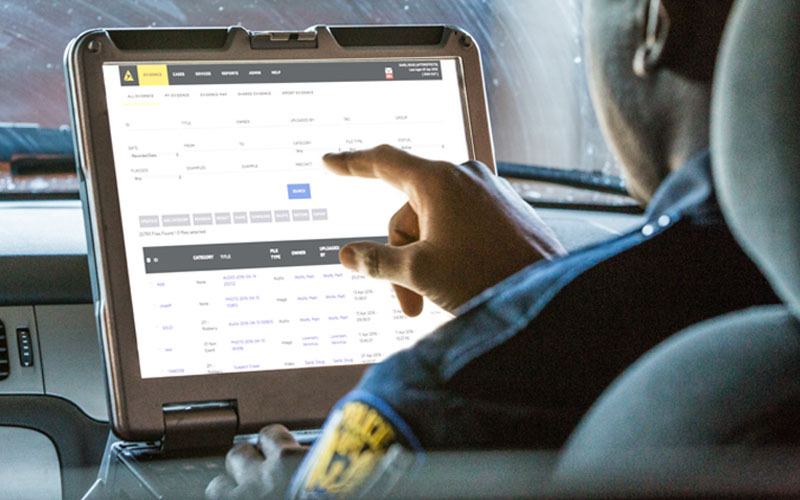 It is a comprehensive, digital information management system where you can store and manage different types of digital data, including traditional video, body-worn video, CCTV, digital pictures, audio recordings, and text documents. Evidence.com will assist your agency in maintaining a complete repository of digital evidence, uploading new files from the field using secure mobile technology, organizing and managing that information, and retrieving it using simple search functions. Using Evidence.com, you can start to scale your storage space, providing nearly unlimited potential for future growth. 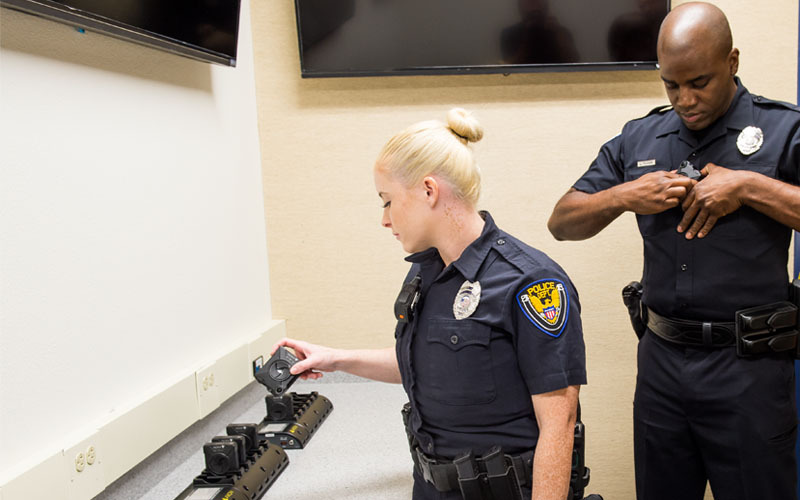 If your agency adopts a body camera program, or you expand your existing program, your storage space can grow to accommodate your need instantly. If, for whatever reason, you no longer need the additional storage, you can also reduce your space just as quickly, so your agency never has to pay for resources it doesn’t need. We know you take security seriously. Your physical evidence locker has strict security policies, CCTV, and the best security force available: your officers. Your digital evidence locker should have the same level of protection. To maintain that level of security with an on-premises server requires regular maintenance, immediate response when updates or patches are released, and regularly scheduled review of all your hardware and software solutions by security experts. If you fall behind or miss an update, your entire evidence system could become vulnerable. Adding a new or updating an existing in-house server can take months of setup and integration, and will likely require you to bring in an IT specialist to get it done right. On top of that, the server will require periodic upgrades, regular maintenance, and power to run. You’ll need to factor all of those expenses into your budget, along with unexpected expenses such as the cost to replace broken hardware or to fix software issues.